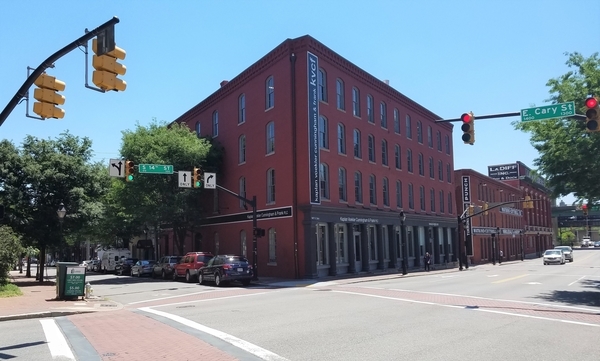 A local development firm already familiar with the properties has teamed up with an Israel-based real estate investment company to snag three buildings in Shockoe Slip. 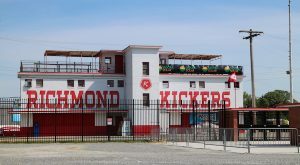 Dodson Development Partners and DagDor Investments purchased the three buildings at 1401-1413 E. Cary St. for $6.8 million, said Duke Dodson, president of the Richmond-based firm. The parties closed on the properties Dec. 28, Dodson said. The buildings most recently were assessed by the city at $5.4 million. 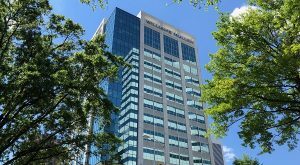 The properties, which total 59,000 square feet, were tied to several business entities owned by Louis Rogers, president and CEO of Henrico-based Capital Square 1031. They’re also managed by Dodson’s management arm, Dodson Property Management, which will continue to oversee the buildings. DagDor has been active in Virginia’s multifamily market, with several holdings in Hampton Roads, Lynchburg, Charlottesville and Harrisonburg, according to its website. 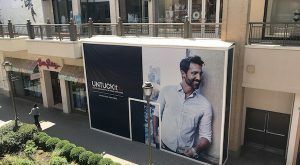 The acquisition in Shockoe Slip marks DagDor’s first foray into the metro Richmond market, Dodson said. Lala Korall, DagDor’s Richmond representative and broker, could not be reached for comment Thursday. The properties are comprised of 19 one-bedroom apartments, and several offices and restaurants, including Kaplan Voekler Cunningham & Frank, Canal Capital, Feedback, The Hard Shell and the recently opened Billy Jack’s Shack. Plans call for some of the apartments to be updated as units turn over, Dodson said. The acquisition is the latest of Dodson Development Partners’ business dealings in several of the city’s busiest neighborhoods. 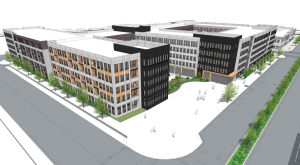 Led by Dodson, Geoff Shudtz and Tara Carter, Dodson Development has teamed up with Fountainhead Properties’ Tom Papa to develop The Nest – a six-story, 118-unit apartment project set to rise on about one-half acre at 3105, 3107, 3113 and 3115 W. Marshall St. in Scott’s Addition. The development group also has teamed up Ross Fisher and Rob Lanphear of Pivot Development to convert the former Flood Zone/Have a Nice Day Café building at 11 S. 18th St. in Shockoe Bottom into apartments. On top of Dodson’s development division activity, its property management arm is likewise making deals. Dodson Property Management recently acquired 45 of Fredericksburg-based Get Sold Realty’s property management contracts, bumping Dodson’s unit management count in the Fredericksburg area to 275. The company also picked up 155 single-family rentals from Military Plus Realty & Property Management about two years ago in the growing D.C. exurb. Meanwhile, Dodson Commercial is entering into an agreement to purchase multiple local property management contracts of Harrison & Bates Property Management, a division of the former Colliers International | Richmond. Terms of the deal between Dodson and Harrison & Bates had not been disclosed as of Friday. Between its divisions, Dodson manages over 4,100 single-family homes and apartments in Central and Northern Virginia, plus more than 1.3 million square feet of commercial space across metro Richmond.